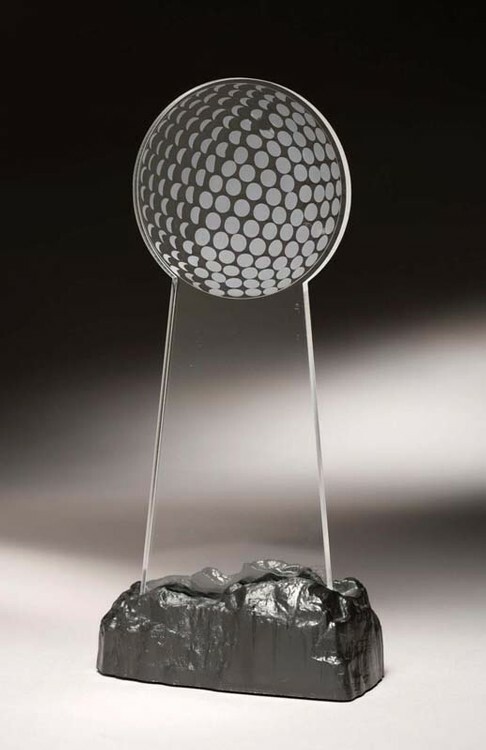 EZ-Fit awards require no special glue or tools to assemble.Simply customize the clear acrylic blank, then press fit in the faux rock base for perfect fit. Base is black plastic molded. There is no better way to recognize exceptional achievement than with a finely crafted acrylic award. If a strong statement and bold impact are what you are seeking, look no further than this amazing award. We created these designs to be anything but ordinary. The recipient of this award will feel that they have been noticed with a true work of art. We also manufacture several of other amazing acrylic awards. We also have an awesome line of acrylic and wood plaques & paperweights. Just added some Crystal. Be sure to check them out!